The placement of speciality items in a menu so that it catches viewers attention is very important. 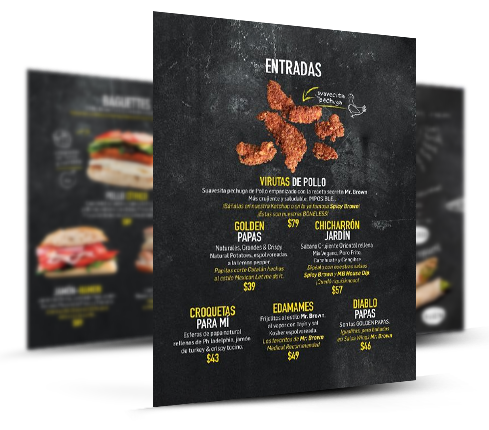 Make sure that your menu is designed keeping with the theme of your restaurant. At Designhill, hire professional designers who can create a beautiful menu design for your business. Creative Designer!! Justinbariso creates a beautiful menu card for my Restaurant. Max Designed an attractive menu card for my Bakery business.I'm happy with his work. Great Work !!! Attractive Salon menu card design.Thanks! Very happy with the new menu card design.Such a great work! Design our Food and Beverage Menu! 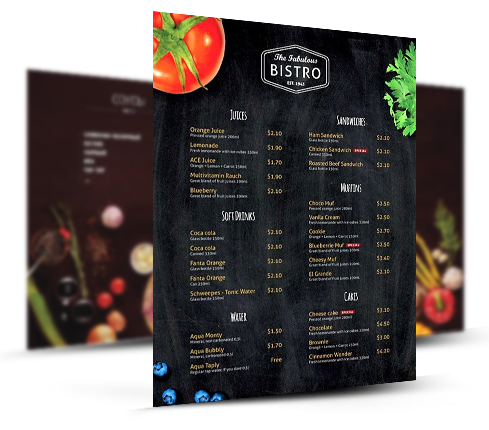 A well designed menu can highly boost your business. The color and font used, content placement all play very important role in menu design of a restaurant. Launch a contest at Designhill and get hundreds of menu design to choose from made by our expert designers. A high quality image alongwith a little description can proove to be one of the most effective medium to catch eyes of people visiting your bakery store. At Designhill, our expert designers can help you get menu design that can help give your bakery store an extra edge. Your user would find it lot easier to book a service if you have a menu that easily shows the services you offer. Make sure that the content is not cluttered and you have easily segmented all the services so that it is easier for your customers to find out the services they can avail. What do you provide in menu design? 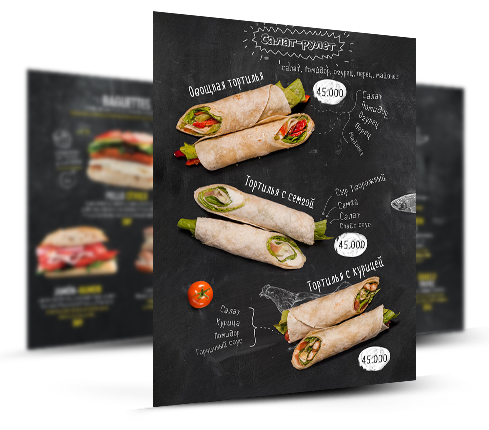 Menu design files are provided in formats that can be used for online as well as printing use. The files are in the format of- .ai, .psd, .pdf, .png, .jpg. Print files are in CMYK color mode while online usage files are in RGB color mode. Do I need to prepare something for my menu design? 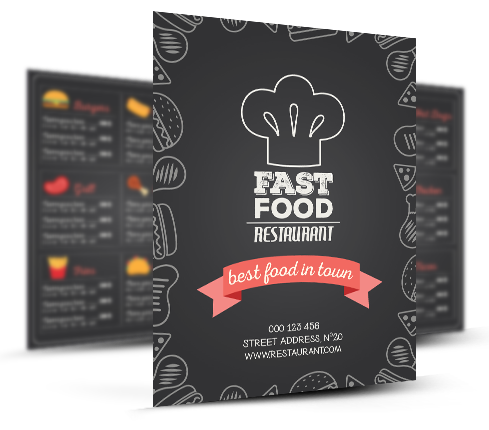 It would greatly help our designer to make a creative menu design if you provide a good design brief containing your company info and your design inspiration. Can I get more than one menu design? 1. You can buy a 2nd or 3rd design from the entries received in your contest from the upgrades section. 3. You can work with the designer whom you have selected as a winner on a one to one project. What if I need additional menu design or more than one menu? 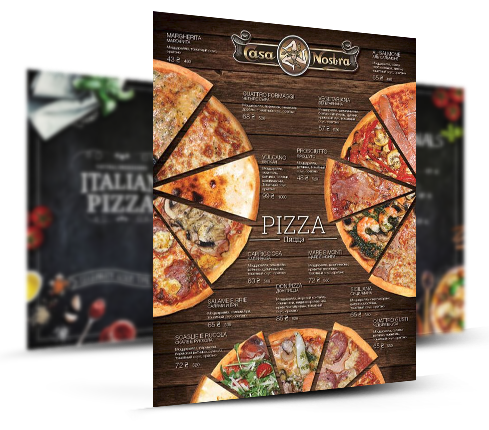 Your menu design package includes one winning design. In case you need any additional menu design then you can either choose a second winner from the contest or start a new contest or else you can work on one to one project with the winning designer. Yes, you can buy additional design categories when posting your contest to create a custom combo package. If you can't find what you are looking for, you can speak to one of our customer support executives, who will be able to help you out. There are no limits on the number of design iterations one can get. No major design changes would be done once you have selected a winning designer. To work with the same designer for your future projects you can start one to one project and invite the designer to work with you. Yes, you get the complete ownership that is all files and copyright once you have selected a winning design. It's a 100% money back guarantee with no hidden terms. Is there a way to make my menu design brief confidential? Yes, you can purchase non-disclosure agreement and search engine privacy add-ons to make your design brief confidential. For a designer to view your design they must sign the NDA. Search engine privacy, on the other hand, stops web crawler to crawl the page. How can I get menu design ideas? You can browse through thousands of unique and creative menu designs created by top designers from around the world. You can message the designers to speak to them or even hire them if you like their work. Find the best menu ideas and inspiration on Designhill. "We are a UAE based Restaurant. We were looking for an attractive menu design. Designhill presented a lot of new, fresh and innovative ideas for our restaurant menu design. The menu design was beautiful. But the best part is that it's within out budget. Their professional team and their courtesy to listen and understand every detail made the entire process comfortable and easy." "I liked the service by Designhill. Got an amazing menu design for my family restaurant business,the price was affordable. Thanks to designhill team!" I liked the service by Designhill. Got an amazing menu design for my family restaurant business,the price was affordable. Thanks to designhill team! "The Designers at Designhill did a fantastic Job. They have designed a modern restaurant menu design for us.8 designers worked on my project and submitted around 98 designs. It was tough to choose the final menu as there were so many amazing options." "My experience with Designhill for a pub menu design was great! It was super easy. I was excited to see so many talented designers’ renditions of my pub menu design.Thank you so much."